The most precious resource of the NHS is its workforce. Employing over 1.3 million staff in more than 300 different careers, maintaining and caring for this workforce is a complex and essential task. Human resources often does not receive the same level of public attention as other areas of the NHS, but it is connected to everything that happens in a trust. Directors of human resources work closely with employer associations, regulators and others to ensure their organisations are staffed to meet patient need. 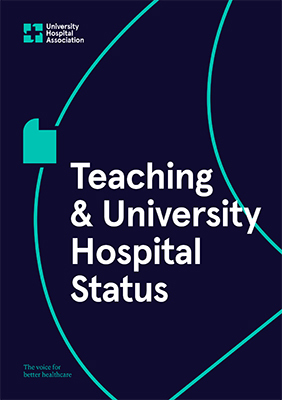 At a university hospital trust, they also work in managing the research workforce and its relation to various funding streams, as well as education commissioning and the integration of education strategies. Overseeing contractual arrangements between the trust and its affiliated university is an important task, as some staff will be employed by both organisations at the same time. The current chair of the HR Directors Group is Dr Neil Pease, Executive Director of Workforce at University Hospitals of Derby and Burton NHS Foundation Trust. The group is supported by Andy Collier, Policy Officer at UHA.